The TRADE > Blog > Kay the spark for major investor overhaul? Kay the spark for major investor overhaul? Today’s release of the Kay review of UK equity markets and long-term decision making could add further pressure to recent calls for more transparency on trading and other institutional investment costs. The interim report released in February 2012 stressed that the fundamental objectives of rewarding savers through investing in high performing companies could be more effectively achieved. Professor John Kay of the London School of Economics revealed that respondents to the report believe that equity markets have lost sight of these goals. He observed that the current incentives for fund management professionals over-emphasise short-term returns over the long-term outlook that would benefit investors. 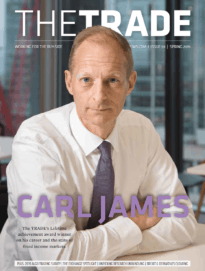 One of the review’s respondents, a large activist fund manager, Hermes, wholly owned by the BT Pensions Scheme, summed up the issue as follows: “Our belief is that the regulatory framework for the markets and the structure of those markets has increasingly moved to favour liquidity and trading activity over long-term ownership”. Furthermore, Hermes noted a dramatic increase in volatility - between 25% and 65% - has reduced appetite among pension funds for holding equities. The Hermes report maintains that volatility suits the agents who operate within the markets, since they can take advantage of trading activity as markets go both up and down. The Kay review was commissioned by Vince Cable, the secretary of state for business, on 22 June 2011, responding to concerns that short-term incentives and pressures may be damaging to the way listed companies are owned and managed and the knock-on implications for investors. Kay was asked to look at whether equity markets are achieving their core purposes: to enhance the performance of UK companies by facilitating investment and enabling effective governance and decision making in support of long-term profitability and growth; and to enable investors to benefit from this corporate activity in the form of returns from equity investment. Pension providers and their suppliers – asset managers and brokers – are already under pressure. Writing in The Daily Telegraph today Steve Webb, the pensions minister, warned that under current conditions, a vast proportion of the population will not have saved enough for retirement, in part for reasons of cost. “If further measures are needed to clamp down on charges, then we will not hesitate to take them,” he wrote. 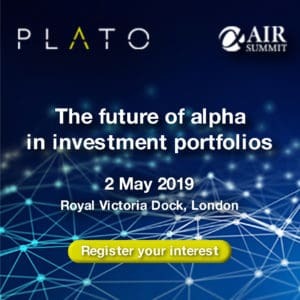 Last week, the UK trade body for asset manager, the Investment Management Association (IMA), rejected the Labour Party’s claims that opaque costs and transaction fees associated with fund investment are too high and eating into investor returns. Instead the IMA argued investors should be provided with improved explanations of costs and charges. Kay’s expected recommendations will include greater control and transparency for investors on directors’ pay and he may suggest more scrutiny of quarterly reporting requirement. The economist is also likely to complain that the many organisations involved in the investment process add to cost and have a detrimental effect on market efficiency. Having commissioned Kay to conduct such a high-profile review, the government will feel somewhat obliged to act upon his recommendations. Recent precedents suggest he will be backed by ministers. In June 2010, the government established the Independent Commission on Banking to consider reforms to the UK banking sector to promote financial stability and competition. Recommendations by Sir John Vickers to separate retail from investment banking have already largely been accepted by the coalition and recent developments such as the LIBOR fixing scandal suggest this support has strengthened further.